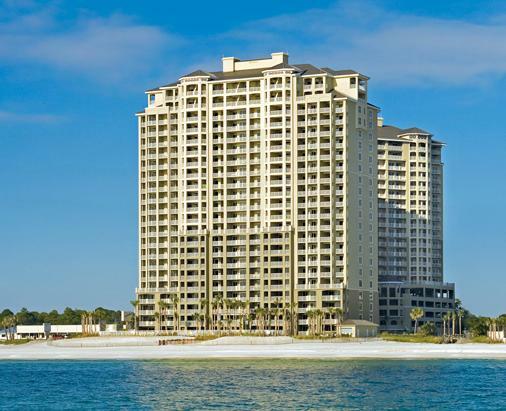 Fantastic 1 bedroom 2 bath condo at Grand Panama Resort. We are in building two with a great Panama City Beach view. The fitness center, heated pool, hot tub, and Bar B Que grills are just a few steps away from our front door. We are near enough to ensure convenience and far enough to ensure quiet relaxation. 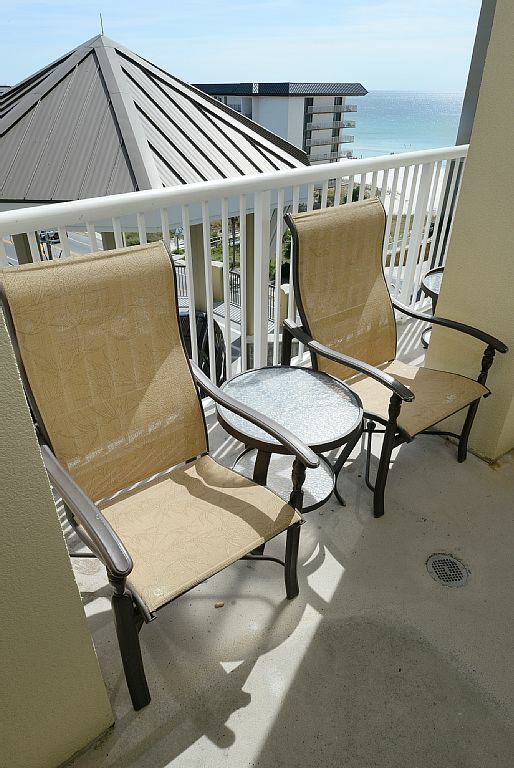 Our condo comes furnished with all of your linen needs for your stay, please bring your own beach supplies and towels do not take linens from the unit. Kitchen is fully stocked with everything you should need for your stay, Toaster, Blender, Microwave, stove, Oven, Dishwasher, Refrigerator/Freezer. Master bedroom has a King Bed with a large flat screen TV and Master Bathroom with double vanity and large walk in shower. Second bathroom has a tub shower combination. Hall also has built in bunk beds along with a sleeper sofa brings sleeping capacity for this unit up to 6 guests. A pedestrian bridge takes you to the Gulf front pool and our world famous beach's. This resort has both front and middle beach road access giving ease to travel going east or west for great shopping and dining. Property features two pools, two hot tubs, on-site tiki bars, on-site dining and shopping, exercise room, kiddie pool, coffee and ice cream shop, business center, meeting room, covered parking, WiFi hot spots. You will enjoy this upscale resort and all the amenities. The beach is beautiful and the property is stunning with fantastic tropical landscaping. Bonefish Grill is located within 1/2 mile. Fishing Pier is located within walking Distance, as well as Ship Wreck Water park, Shopping and Wine/Spirit Store. You can spend a day at the beach, dine out, do some shopping, exercise or swim in one of the 2 awesome pools. There is roughly 55,000 square feet of retail shopping within Grand Panama for you to enjoy. Nearby are many attractions as well as shopping and restaurants. Balcony was dirty. The sofa bed was very uncomfortable. The updated bathroom was nice except shower had mold. The kitchen was ok.
We had a great time with our 2 daughters during Fall Break. The Condo is very spacious for a 1 bedroom. There is a pool on the same floor. It only took a few minutes to get to the beach. The chair services at the beach was included. WE have been to Panama City every Fall Break for the last 10 years and this was one on our favorites! We were very pleased with our experience! The condo was very nice, beds were super comfortable and the room was very accommodating. We had a very relaxing week there and can’t wait to go back next year! The condo was very nice and clean. It looks just like the pictures. The location was great. Beach chair service included was great! Pools are clean and not overcrowded. Parking is tight but we found a spot everyday. We enjoyed our stay and would stay here again! When arriving, we were given very confusing directions about where the condo was actually located. We were told 6th floor. So we went to the 6th floor and of course our condo was not on that floor. We were on the 1st floor after the parking garages. Parking garages are very crowded. Most evenings coming in, there were no places to park and we had to park out in a field no where close to the condo. So why did we have to spend $40 on parking passes when we couldn't even park in a garage? When arriving and departing, we could not locate a luggage cart! The king size bed made a horrible scretch sound every time you moved. I called for maintenance our second day there and never received a call back. Maintenance finally called me back on the day we departed while we were driving home. We were there a total of 7 nights. Could've been better in my opinion! Stayed for a week. Clean and nice condo with easy access to facilities, beaches, and pools. Would definitely stay again! Updated one bedroom condo with bunks in hallway. Full size kitchen with Limited cookware & utensils. 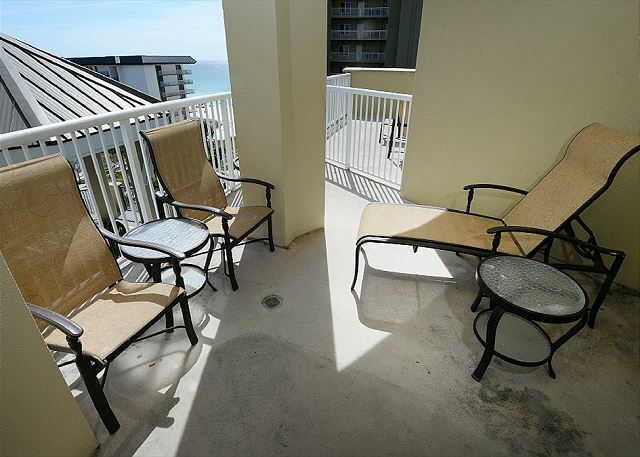 Condo is conveniently located close to the beach. There is a walk across to the beach access. Tiki bar located near beach & pool. Definitely would stay again. 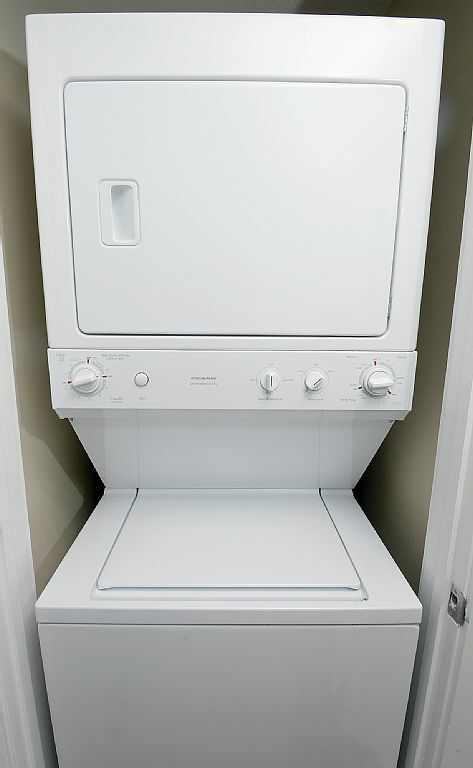 This property smelled wonderfully clean! It was clean the furniture was nice and the view was impeccable. The amenities were fabulous and my children stayed entertained!! We had a great experience with our rental, the condo was very clean, the view was great. The staff was very friendly amd helpful. The cost was very reasonable there were no hidden fees! The booking was as described when we rented. Thank you four star for helping us have a AWESOME vacation! This is our second time here and we love it! We had a wonderful time in condo! Cute place. I always use FourStarCS ! I always book my stay at PCB through FourStarCS! The condo rental was very nice and clean! No problems with booking nor the experience! This condo is very nice - Clean, updated, decorated beautifully. My only complaint was that it's not RIGHT on the beach. It's across the street. Thankfully there's an overpass you walk on to get there, but we thought we were directly on the beach. Parking can also be an issue here - TIGHT parking spaces in the parking deck and space is limited. Other than that, we enjoyed staying here. Our experience was overall great. The only thing we had issues with was the TV. The satilite quit working the first night we were there and when we went downstairs they said oh we can't do anything it's not our condo so I called the number on our papers left several messages before we ever heard back from anyone and they said someone is coming. By the second evening my husband and his friend got it fixed we never got a call back saying oh we have been until the 3rd day we were there by that time we had fixed it. It was just frustrating. But it's in a great location and very clean! We loved our stay! The condo was great. We also enjoyed working with the rental staff. They were very understanding and helpful! Can't wait to go back. My 6yr old daughter and I checked on on Friday night as she was asleep on the bunkbeds, she woke up later that night with bites on her arms and there were bed bugs all crawling all over, I quickly checked on my bed and they were there as well on the pillow cases, I called the office three times that night @ 3am and no one was available and I sent an email to request a refund and that I was going to move to another property the next day. A lady called me I believe she was the owner and she claimed that she had sent someone over to check and that the guy said he found nothing, I was in the condo the whole morning and no one came and secondly bedbugs come out at night mostly. she refused a refund, We had to sleep on the sofa Friday night and sat around 8pm I checked out and moved to ocean villas next door after we saw a bedbug on the kitchen wall near the carpet area.. I was disappointed with the stay and most of all the way this was handled, I took pics of the bedbugs and a video for evidence which I sent it to email I had sent earlier to four star condo. I do not think its fair on this kind of service, I know its not the company as a whole but just one condo. If this was handled differently It would have made a big difference.